From Man Caves to She Sheds, the rise of the garden building as a retreat has seen an undeniable resurgence in popularity in recent years. 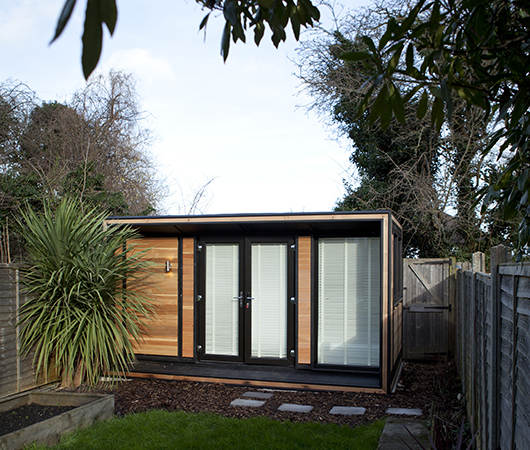 For individuals looking for a space to call their own for arts, crafts and hobbies, or a personal room for workouts or contemplative relaxation, the additional space of a garden room can provide a world away from the stresses of everyday life; enabling you to take time to do the things you love, whatever the weather. 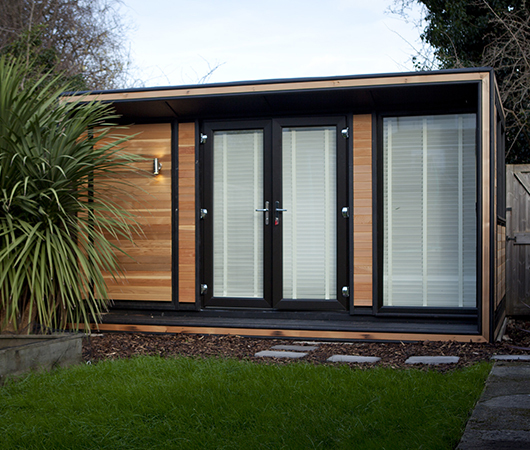 Over the past 10 years Smart has manufactured and installed hundreds of personally specified She Sheds (even before they were branded as such!) 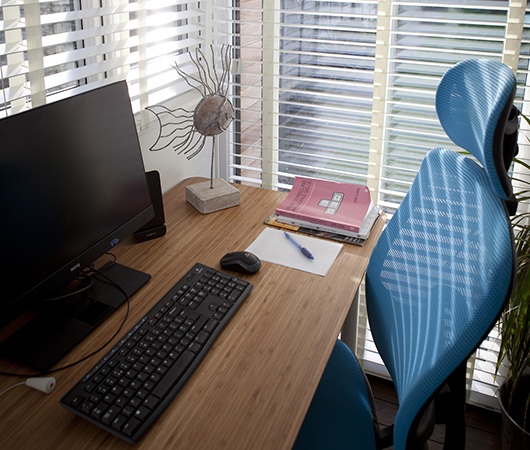 for a multitude of uses, creating tranquil home office environments or personal retreats outside of the home. 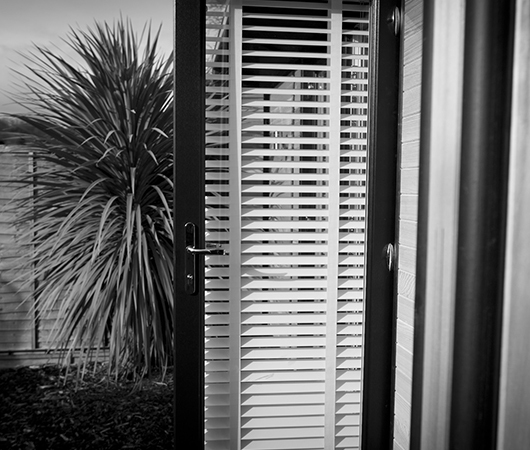 With over 4.2 million people in the UK currently work from home, that’s nearly 14% of the workforce, for business owners looking to expand their operation from the spare room or dining room table, purpose-built garden offices and studios provide a fast and cost-effective way to expand living space for less, while helping many achieve work-life balance with a shorter commute to the office and a secure, lockable door at the end of the day. The benefits of an enhanced work-life balance undoubtedly appeal to many women (and families), enabling them to juggle family life and childcare arrangements whilst running a successful business closer to home at a time to suit them. The Ultra Extro (pictured) was personalised for Miss S, who offers her own counselling practice in South London. The space was designed to complement the layout of Miss S’ garden and utilise the natural light to create a warm and welcoming environment, not only for her clients, but one that she would love to work in every single day of the year. The contemporary Ultra range chosen by Miss. 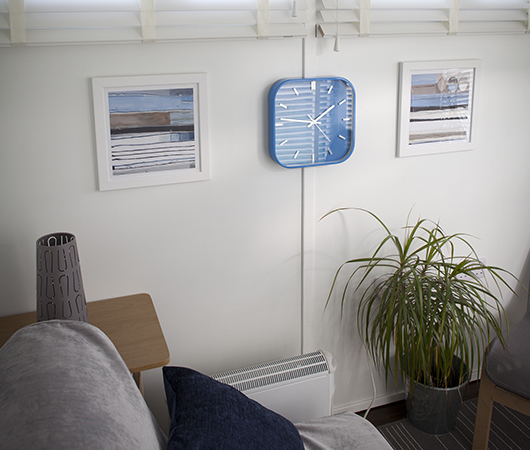 S is packed with details to create the ideal garden environment for working from home: The Ultra comes with unlimited floor-to-ceiling windows as standard, is fully insulated throughout and comprises of 150mm thick walls, keeping Miss S and her clients warm in the winter and cooler in summer. 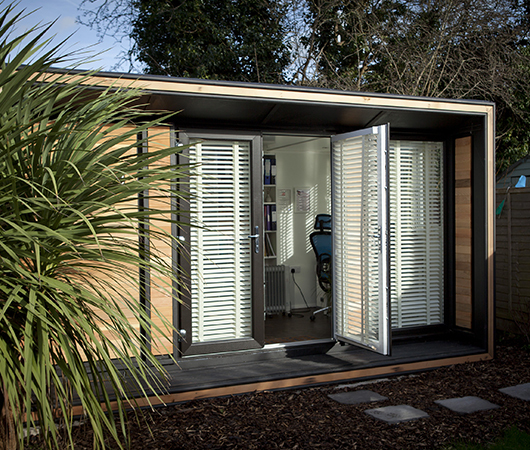 The dynamic look of the unique floating cedar panels on the exterior, combined with a breath-taking ‘picture frame’ fascia and portico with integral deck, this garden office is designed to blend into the garden and become a treasured part of your home. 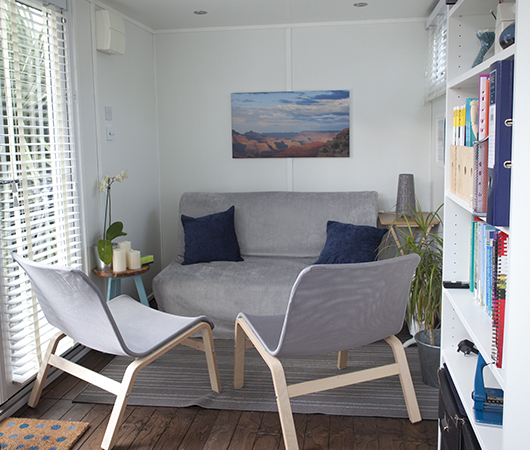 Other She Sheds Smart has recently installed include a personal gym, library, art studio, holistic therapy and treatment room, long-armed quilting studio and sewing room. "Tony and Rob’s workmanship was a joy to watch!"